A 3D stacked bar chart with data labels for bar segments as well as whole bars. A 3D multi-bar chart with two alternative background colors. 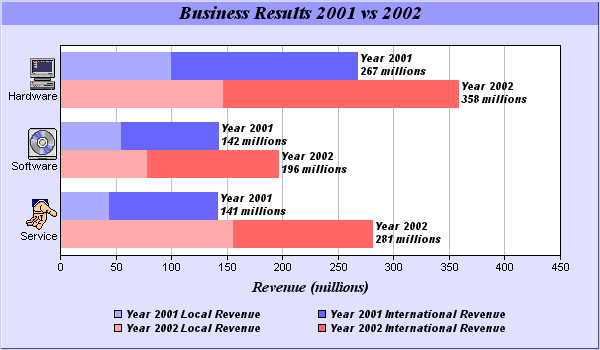 A 3D bar chart with depth layout. Semi-transparent colors are used so you can see through the bar layers. ChartDirector supports bars of cylindrical and arbitrary polygonal shapes. This chart is using 3D cylinders. Flat style bar chart completed with a golden frame. This bar chart is using 2D cylindrical bars, completed with a golden frame. A 3D multi-bar chart with a gradient background color and soft lighting effects. 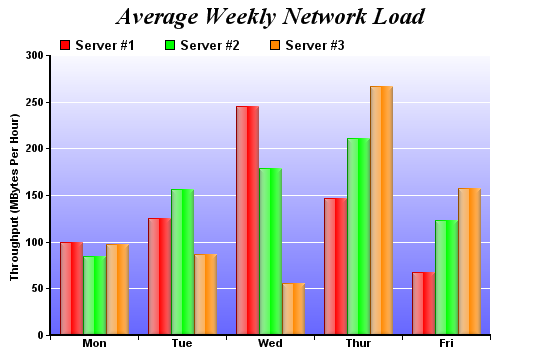 A multi-bar chart with a gradient background color and glass shading effects. ChartDirector supports bars of cylindrical and arbitrary polygonal shapes on the same chart. This chart demonstrates bars with various polygon shapes. 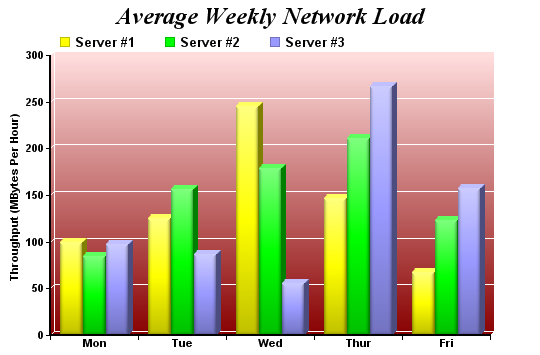 A multi-stacked bar chart, which contains stacked bars clustered together. 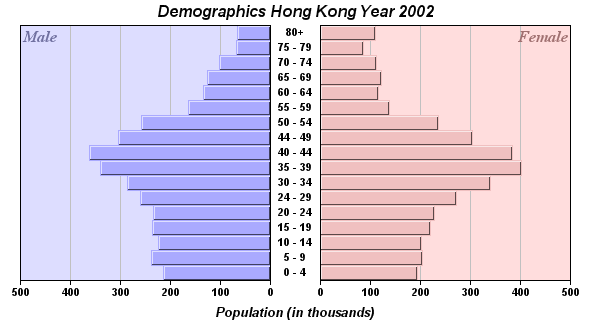 Note the axis labels. They are with icons! These are created using ChartDirector Mark Up Language (CDML). This is actually two bar charts, combined with the ChartDirector Multi-Chart object. ChartDirector allows arbitrary charts to be combined together. Note the x-axis directions of the two charts are opposite to each others. In ChartDirector, axis direction is configurable.